MOGADISHU (HAN) The UN Security Elite forces deployed in Somalia, in order to secure the capitals main areas. The troops are about 410 soldiers, their ethnic background are from Uganda, but in the name of United Nations action Guard. Uganda Government Forces spokesman Col. ITV, has told reporters that sending troops to Somalia, the latest attack in recent local touch Peace Center on Thursday and killed 12 people. 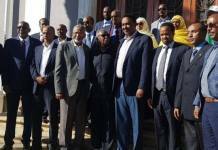 Spokesman, also said that they came to this request from the Government led by the President of the Federal Government of Somalia HE Hassan Sheikh Mohamoud. 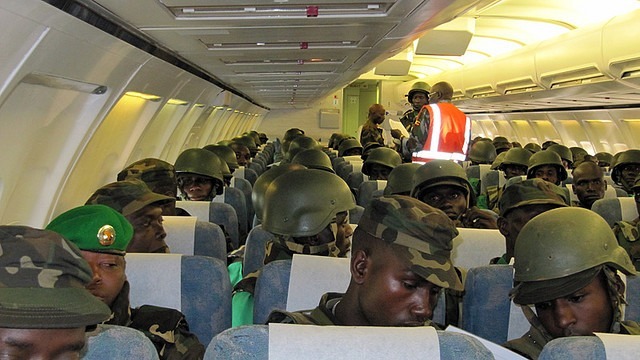 Col. ITV, revealed that troops will be part of the African Union Mission in Somalia, but they will come down Command base in Aden Adde International Airport; under the bannr of the Somali General.